The dangers of suffering from traumatic brain injuries can cause ones future to be grim. Those who suffer from it can have serious problems. In fact any injuries to the brain can create a lot of complications either temporary or permanent. The significance of the injuries can vary from mild to very severe, with the symptoms and long term effects not becoming readily apparent until well after the initial injury is sustained. The symptoms can range from mere headaches to much more severe types of impairments such as: cognitive difficulties, speech problems, severe memory impairment, changes in personality, comas or even paralysis. The severity of these impairments makes it necessary that you obtain the appropriate brain injury lawyer, who understands the symptoms of these types of injuries and the care required. The needs of people with severe brain injuries can require a great deal of assistance with simple tasks, along with constant monitoring and care. The needs of these brain injured persons can also place a great deal of stress both emotionally and financially on their families. That is why it is necessary that if a tragic event such as this happens to you or to a loved one that you ensure that you hire a brain injury lawyer who will ensure that the funds necessary to pay for care and to compensate you and/or your loved ones are obtained. The Toronto Brain Injury Lawyers at Yermus & Associates will ensure that while you and your family are dealing with this life altering situation, you will not have the additional burden of dealing with the insurance company. It is because of all these grim realities that victims not only need to get a lawyer and the best services available. 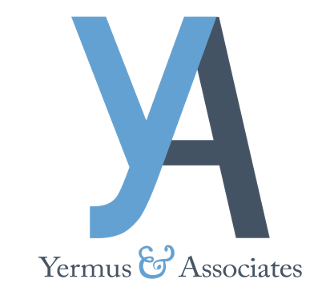 Call a Toronto Brain Injury Lawyer at Yermus & Associates, they are well trained and prepared to assist you. Call 416-229-4878 (HURT) to meet with a Toronto Brain Injury Lawyer at Yermus & Associates. The Toronto Brain Injury Lawyer who will be working for you at Yermus & Associates will do a thorough review of your file and records, we will work together closely with your health care professionals to ensure that you are receiving both the benefits and care that you require and are entitled to. Case management expenses.Beyond all these benefits our team will also explore the other benefits that may be available to you through other insurers or the through the government. We are committed to doing our best to allow you and your family to move on with their lives unburdened and financially supported. Call 416-229-4878 (HURT) to contact a Toronto brain injury lawyer and get a free consultation.